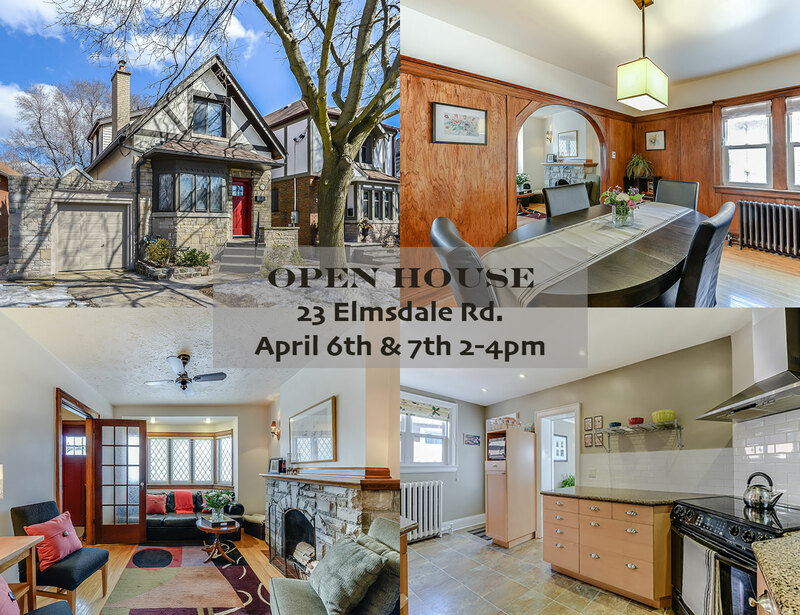 Open House this weekend April 6th & 7th from 2-4pm at 23 Elmsdale Rd! Charming yet modern home with 2 bedrooms, 2 baths (marble accents), main floor den and finished basement located in the heart of East York’s Golden Triangle. Close to TTC, schools and shops. Could this be your next dream home? Join us for wine & cheese this Thursday, April 4th from 5:30-7:30pm for a sneak peek or talk to Frank and Avril about the real estate market. Looking forward to seeing you there!